The owner of the Dallas Cowboys boasts a net worth of $3 billion. No big deal, right? Just another CEO raking in revenue for possessing a wealthy enterprise. Not much of a difference between him and the Rupert Murdochs and Mark Zuckerbergs of the world. What’s shocking about Jerry Jones is, according to a CNN article, is that the football tycoon communicates via flip phone. Jones was spotted at last week’s Arizona State-Notre Dame football game chatting on an old school flip phone. You would think he’d invest in the iPhone 5s or Samsung Galaxy Note, but I guess those phones aren’t on his radar. 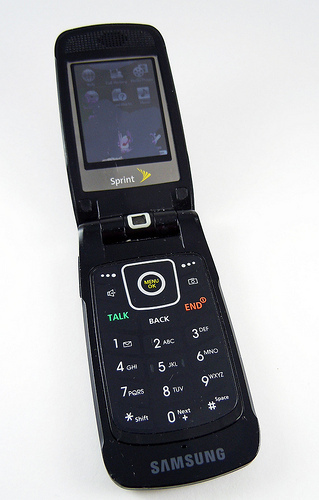 When asked about his dated device on a Dallas radio sports show, Jones stated that flip phones worked for him and he didn’t have to deal with any pocket dialing with his phone. I remember the days when everyone wanted a flip phone. I wanted one just to hear the clapping sound it made when I flipped it shut. The cell phone market is primarily composed of smartphone devices, which aren’t cheap especially without a contract. Flip phones are exponentially cheaper than the phones out there today. Many companies are selling them at low costs with the purchase of a plan. If you’re attempting to ball on a budget, the flip phone is for you. Flip phones are most likely going to last longer than the dainty iPhones. When you drop a flip phone, a minor scratch may be the worst outcome. When a cover-less iPhone drops, you might as well have Apple Care as your emergency contact. And you don’t need to buy a case for a flip phone because it can take on pretty much anything besides water. Like Jones said, he doesn’t have to deal with pocket dialing. Smartphones are known for acting up when they’re put away in your bag or pocket. That gets annoying. Flip phones don’t have this issue. They physically fold to protect the keyboard from unwanted use. Let’s remember that Jerry Jones is no spring chicken. The 71-year-old, like many older Americans, has trouble dealing with the vast world of technology. It’s probably just easier for him to navigate a basic flip phone than a smartphone. But I will say that he’s seriously missing out on Candy Crush.